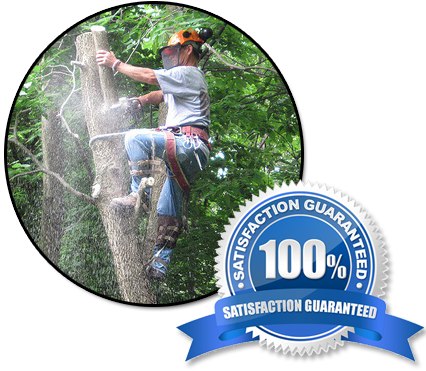 Our TREECO team offers you the best option for tree removal service in St. Augustine and Jacksonville, FL. Removing dead, dying or damaged trees is a hazardous job. Even if you are taking out a living tree to make room for an addition to your home, it takes special knowhow to do the job right. 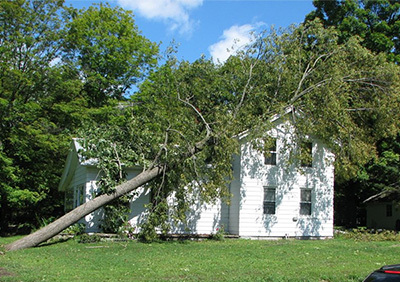 Often, homeowners who attempt to remove trees themselves damage their homes, destroy nearby trees and flower beds, or even injure themselves. The same can happen when you hire inexperienced and ill-trained individuals to do the work. At TREECO, we have the expertise you need to safely get rid of trees that can no longer be saved, and we do it at the most reasonable tree surgeon cost. We help you assess your tree’s health and determine whether the tree can be saved. We offer pine tree removal, as well as removal of any type of tree you can imagine. Our arborists have all the proper tools and equipment to remove your unwanted tree both safely and accurately, disturbing nothing else on your property that you wish to save. We cut the tree down near the ground, leaving only a short stump. If you want to get rid of the stump as well, we offer professional stump grinding as well. Check out our tree trimming services. Whether you have a healthy or dying tree that needs to be removed, the use of a crane cuts down the amount of time it takes for removal and it reduces the overall impact to its surroundings. This is especially true with extremely large trees that require removal, as safety and liability become a greater concern. Treeco’s team is experienced in crane operation and has the skill required to safely provide crane-assisted tree removal in Jacksonville and St. Augustine. When a tree falls near active power lines due to severe weather or poor health, it creates an extremely dangerous situation. Trees near power lines should only be handled by trained professionals to avoid serious injury or even death. Treeco’s team of tree surgeons is power line safety certified and has the experience to safely and promptly remove trees in this risky position. If you have a tree emergency involving power lines, call our 24-hour tree service serving the Jacksonville and St. Augustine areas. Stump Grinding is reviewed as 4.9 out of 5.0 56 over the internet. TREECO is considered one of the top-rank tree service providers in Jacksonville & St. Augustine, FL. We offer 24 hour emergency tree services! Need a Tree Removal & Clean Up Service?